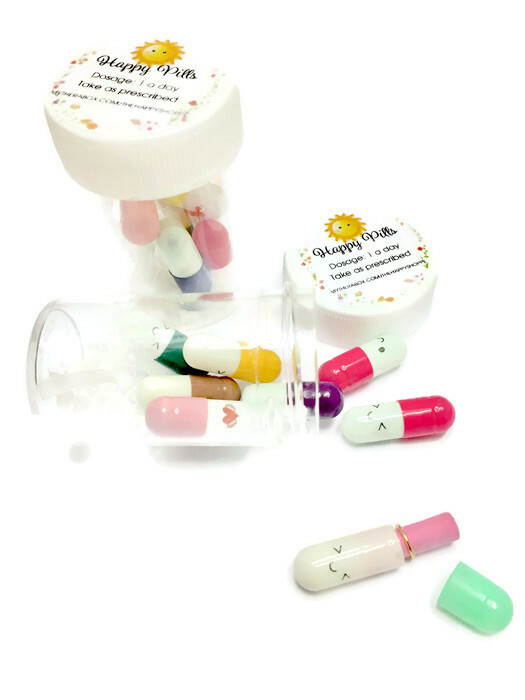 Our Happiness Boosting Activity from our May Box: Happy Pills! Happiness is similar to a garden. In order to keep it blooming, we must nurture it daily. Pop a happy pill everyday to nurture your soul and grow your happiness! What's included: 1x Jar with 7 happy pills inside. Inside the pills are empty message inserts, which are meant for you to write in. You are encouraged to write down an easy 5 to 10 minute activity you enjoy onto each empty insert. Then everyday, pop a happy pill daily by picking out a pill and engage in the exercise on the insert to increase your happiness! Happiness is a practice, and consistency is key! - Free shipping within the US!